As is often the case, I have a whole lot of half-finished posts waiting for some writing time to finish them. 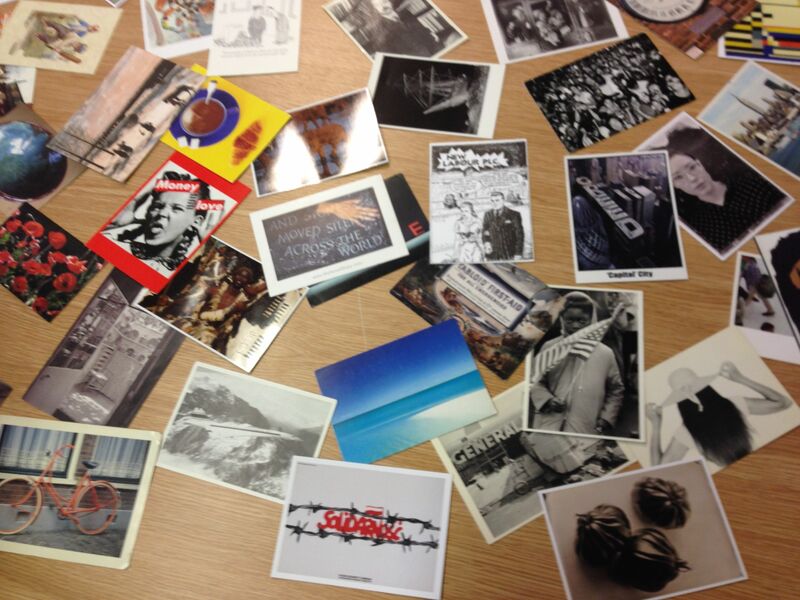 So this short post is just to note that I have an essay [opens pdf] in the latest edition of the Journal of Futures Studies, co-written with Victoria Ward, on using postcards in workshops as a facilitation technique. One of the inspirations for the paper was Alex Pang’s essay on ‘paper spaces‘, which made complete sense to me but was, he once told me, surprisingly controversial. There is no precise workshop method: in practice it adapted to the specific requirements of the workshop. The approach has also shown itself to be fairly robust. Typically in the context of a futures workshop one would lay out 150 or so cards on a table, invite participants to form themselves into pairs or threes, then ask each group to select two, sometimes three, cards that express a story or a view about the particular future under scrutiny, and be willing, shortly afterwards, to tell that story to the other participants. There are variations, but essentially this is it: a dialogue process that uses visual cues to open up different ways of seeing, of witnessing and conveying our own experience, and perhaps different types of insights, about the present and future. And more: a way of sharing fragments in such a way that small moments sometimes build to a larger and sometimes surprising narrative. In doing so, in our experience, they also create different types of narratives, different types of conversations, and a vivid body of language, image and material that can be incorporated directly into the next stages.